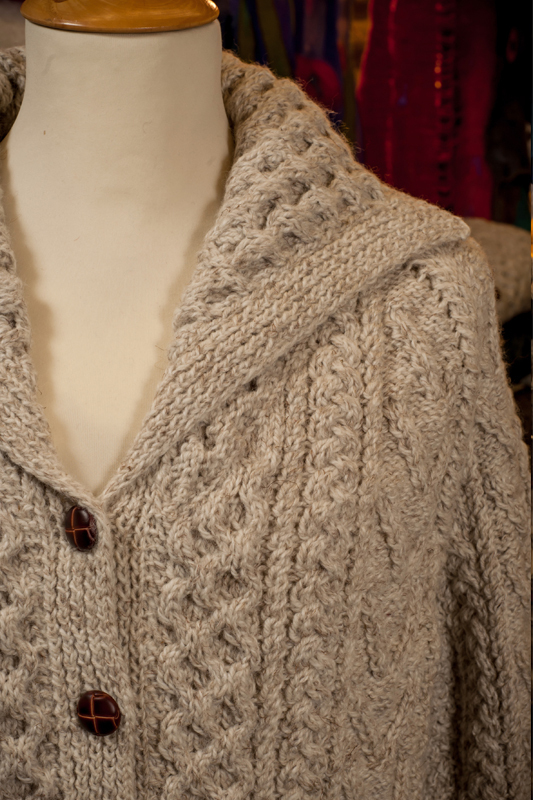 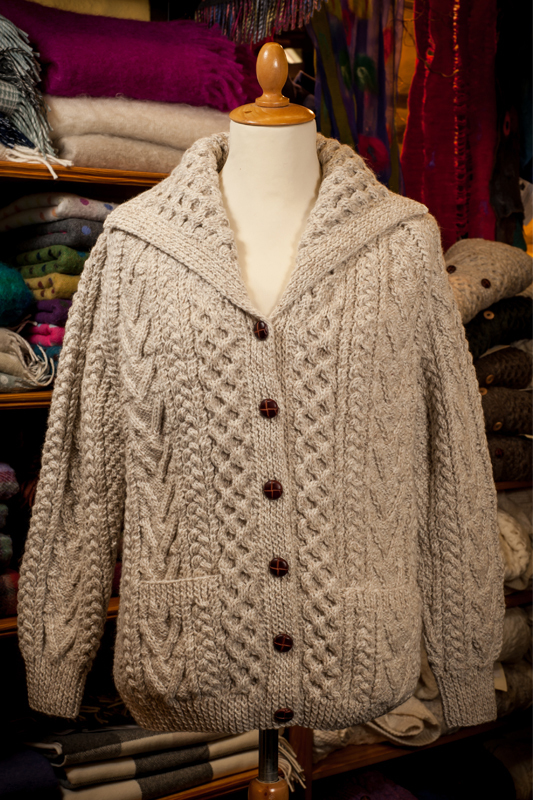 This beautiful ladies jacket features a shawl collar and pockets. 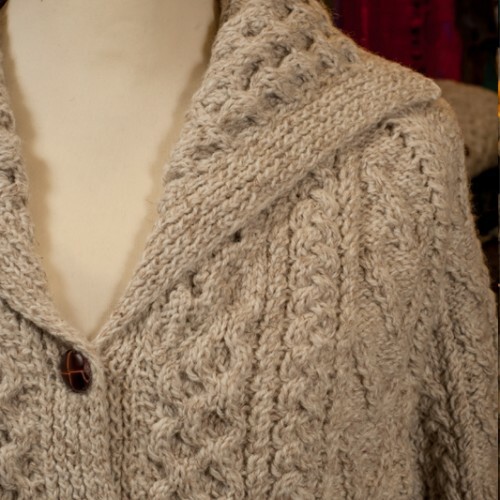 Stitches used include honeycomb, cables and open diamonds. 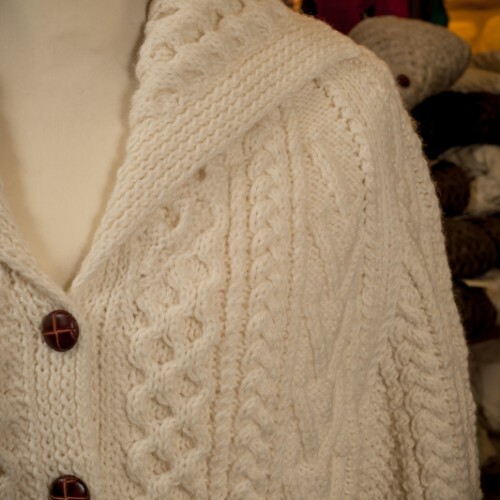 Pictured in oatmeal natural and natural cream. 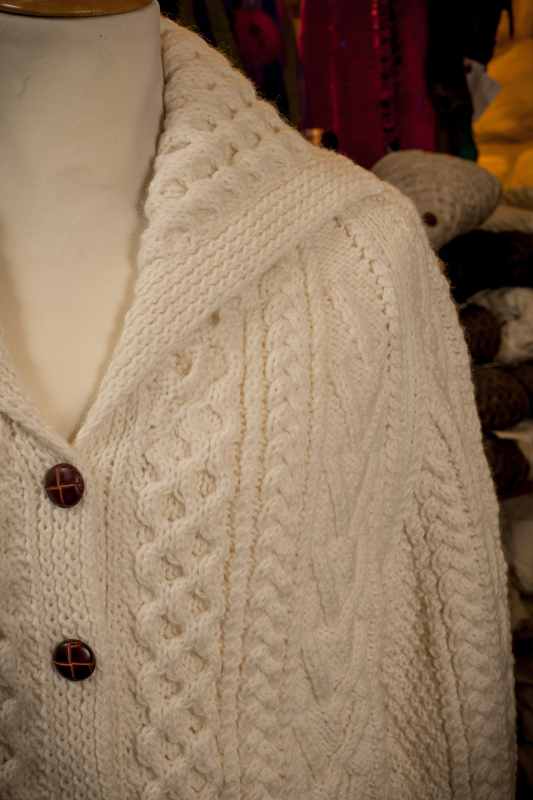 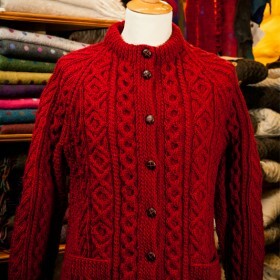 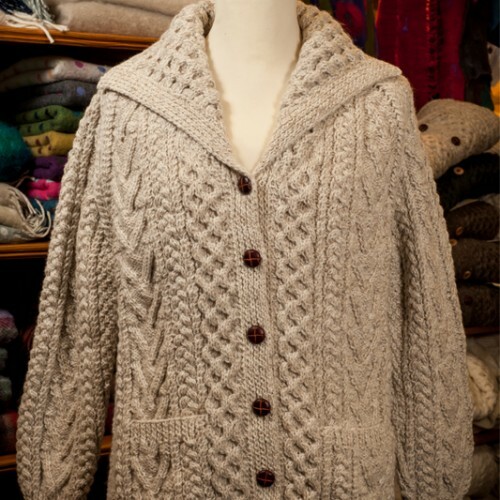 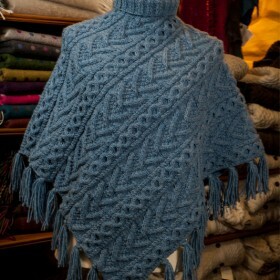 For more information please get in touch via our aran sweater contact form.